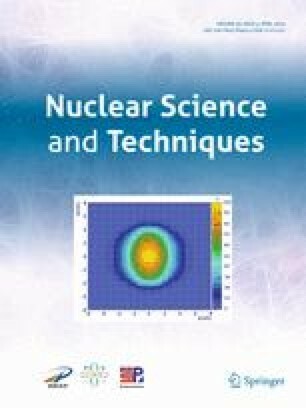 Associated alpha particle imaging based on the time-of-flight (API-TOF) technique is an advanced neutron analysis method, which is capable of discriminating material nuclides and three-dimensional imaging of the spatial distribution of material nuclei. In this paper, the spatial resolution of API-TOF and its effects are studied using mathematical analysis and Monte Carlo numerical simulation. The results can provide guidance and assist in designing of API-TOF detection devices. First, a mathematical analysis of the imaging principles of the API-TOF was carried out, and the calculation formulas of the spatial resolution of API-TOF were deduced. Next, the relationship between the device layout and the spatial resolution of the API-TOF detection device was studied. The concept of a typical API-TOF detection device with an optimized structure was proposed. Then, the spatial distribution of the spatial resolution of the typical API-TOF detection device was analyzed, and the effects of the time resolution and the neutron emission angle resolution on the spatial resolution were studied. The results show that spatial resolutions better than 1 cm can be achieved by improving the time resolution and the neutron emission angle resolution to appropriate levels. Finally, a Monte Carlo numerical simulation program was developed for the study of the API-TOF and was used to calculate the spatial resolutions of the API-TOF. The comparison of the results shows that the spatial resolutions calculated based on the Monte Carlo numerical simulation are in good agreement with those calculated based on the mathematical analysis. This verifies the mathematical analysis and the evaluation of the effects of the spatial resolution of the API-TOF in this study.